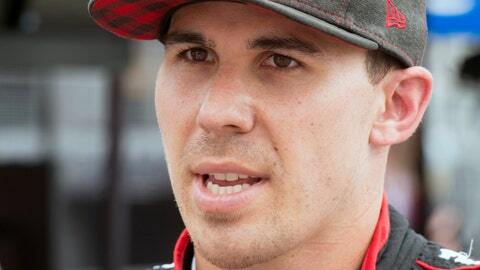 IndyCar driver Robert Wickens is paralyzed from the chest down from injuries suffered in an August crash at Pocono Raceway. The 29-year-old Wickens has been updating his rehabilitation progress on social media and posted a video Thursday of his “first slide transfer as a paraplegic” that showed him moving from a table to his wheelchair. His videos had shown for the past month that he is working daily to move his legs again, but Thursday’s post was the first time he publicly confirmed his paralysis. “Two people with the same injury may heal differently,” Wickens tweeted Friday night. “One may walk again and one may not. Each body heals differently. So we can not tell you a definitive answer if I will walk again. But I have full intentions of doing just that! The Canadian crashed at Pocono on Aug. 19 and suffered a thoracic spinal fracture, spinal cord injury, neck fracture, tibia and fibula fractures to both legs, fractures in both hands, fractured right forearm, fractured elbow, four fractured ribs and a pulmonary contusion. Earlier Thursday, three-time NASCAR champion Tony Stewart told The Associated Press he is reconsidering a return to the Indianapolis 500 because of Wickens’ crash. A video earlier this week showed Wickens successfully moving each leg slightly and he declared he’d be dancing in no time. He is scheduled to be married next September and fiance Karli Woods also posts regular videos to her Instagram stories of Wickens’ rehabilitation. “He sure as hell is showing amazing results so far, and he’s working hard as possible,” Woods posted Friday.